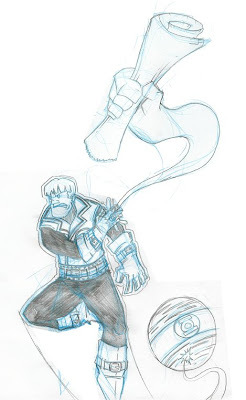 OTTOCON1: The art of Joel Jackson: Drawing of the Day 028...Guy Gardner Green Lantern with a Dash of Mogo! Drawing of the Day 028...Guy Gardner Green Lantern with a Dash of Mogo! I'm going to add this to the G'nort illustration. Gut is my #2 GL, and MOGO is a planet who is a GL. More on this when it is all finished.